Sacate is committed to providing uncompromising product quality. We use only the finest ingredients in our products. All of our ingredients are 100% natural with no artificial fillers or additives. We are located in Phoenix, Arizona with deliveries available nationwide. Please tour this website for additional product information and feel free to contact us with any questions you may have. We look forward to hearing from you! West Ajo Feeds has been doing business with Sacate for the last 18 years. Their service is excellent and their product is just as good. 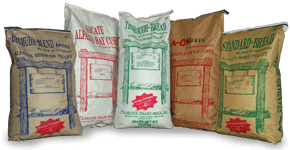 Pelleted feeds have been available for more than a half century. Our commitment to quality and service have firmly established our products as the best in the industry. Why should you feed pellets? Each bite is nutritionally balanced. A balanced ration is a more efficient. Pellets eliminate waste in feeding. There is approximately a 10% savings over baled hay which is often scattered outside the feed box or manger. Pellets eliminate the dust resulting from feeding baled hay. 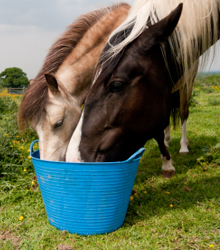 Pellets reduce the potential for heaves which can occur when horses are feed an unbalanced ration of hay. A ration of half grain and half hay for working horses can be replaced with one pellet. A nutrionally balanced complete pellet such as Sacate's Thoroughbred pellet eliminates the need to purchase, mix and feed two different commodities. Pellets are less bulky to handle, store and ship. *Lester B. Waymack & Albert M. Lane “Feeding The Arizona Horse College of Agriculture, University of Arizona, Dec. 1975, p.7.